The band led by T.J. Berry has been marching to the beat of its own drum for 18 years now, and on the 5th full-length album doesn't stray from its trademark style of US power/thrash metal, which can appeal to fans of TESTAMENT, JUDAS PRIEST, WRATHCHILD AMERICA, old METALLICA, METAL CHURCH, HEATHEN, ICED EARTH and JAG PANZER. New songs are usually short and to the point, catchy and with many mood changes... An atmospheric acoustic part is just a calm before the storm and before you know, you're grinded by pulverising riffs and grooves. The strong and expressive vocals shine here but also the instruments are in the hands of seasoned and talented musicians. It's quite a raw sounding, but very personal album with lots of passion emanating from the songs. 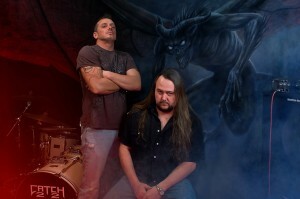 CATCH 22 was formed by T.J. Berry (vocals, guitar) in 1992 in Marietta, Ohio. When grunge was hitting it big, CATCH 22 stayed true to their art form (metal) and treaded on. In 1994 their first 6 song demo tape, "Crazier Than Life", was released. One song from this demo, "Fate Keeps On Happening", scored a spot on the Rodell Records compilation "Sounds From The Underground". That was a brave move from Rodell Records because at that time CATCH 22 were considered very uncool as anything metal was labeled uncool. In 1995 they recorded a 3 song tape, that gained them some national exposure and encouraged them to record a full length CD entitled "Through Eyes Of Pain" in 1997. They scored distribution and a Metal Edge magazine ad from Perris Records, that is known for glam metal, but saw the potential of the band and couldn't resist it. In 1998 CATCH 22 released their second album, "Time Reveals All", to rave reviews from all over the world. Songs such as "Burn" and "Think For Yourself" still pop up at the band's live shows. CATCH 22 played at the March Metal Meltdown in New Jersey. The year was 2000 and they were surrounded by death metal cookie monster vocals and the outcast once again, waving the flag of true metal loud and proud. 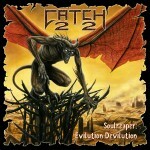 The following year saw the beginning of a great relationship for CATCH 22 with the Classic Metal Festival series. They went to Kalamazoo (Michigan) to play the first annual CMF. At CMF 2 they met J.B. Mestad which led to his label Molten Metal, releasing CATCH 22 third album, "Awaken", in 2003. CATCH 22 played at Classic Metal Festivals 1, 2, 4 and 5 and have shared the stage with TESTAMENT, EXCITER, ANVIL, OMEN, ATTACKER, HALLOWS EVE, S.O.D., SEVEN WITCHES, CAGE, DORO and many other well known acts. CATCH 22 were featured on four tribute CDs released by Dwell Records, performing songs of KING DIAMOND, TESTAMENT, WHITE ZOMBIE and SUICIDAL TENDENCIES. In December 2006 CATCH 22 entered the studio again to record songs for the new album. The sessions resulted in 22 heavy and diverse power/thrash metal cuts, however due to the limited budget only half of these songs saw the light of day, being released by the band under the title "Soulreaper Vol. 1" in 2007. This CD got many great reviews from all over the globe, however it was more of a promo without the booklet. 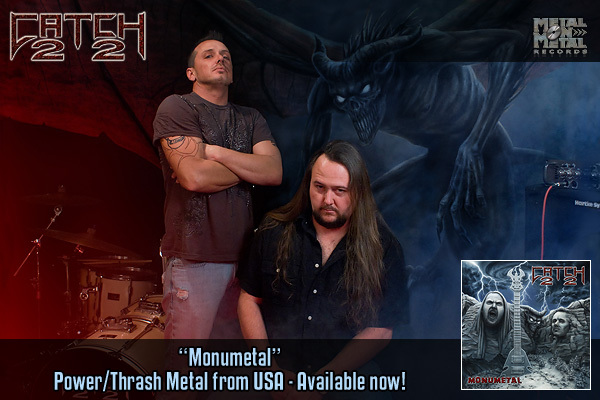 The newly formed Metal On Metal Records decided sign CATCH 22 and release "Soulreaper" the way it was planned by the band in the first place: as a double CD with all the songs, lyrics plus a lot of additional artwork in the booklet. "Soulreaper: Evilution/Devilution" DCD was the first release on MOMR (out in April 2008) and is a treat for all those who love US power/thrash metal with diverse, heavy and aggressive songs with excellent vocals and guitars. During the next years CATCH 22 went through several line-up changes and finally, in the autumn of 2010, recorded their 5th full-length album titled "Monumetal" in the following line-up: T.J. Berry on vocals and guitars, Jason Antill on bass and Steve Strahler as the session drummer. "Monumetal" was released on March 11th 2011. CATCH 22 have forged their own personal style, not sounding like any other band, yet being heavily rooted in the '80s and '90s US metal tradition. "Monumetal" is a very personal album with lots of passion emanating from the songs, but also quite a raw production, so it was released through the RAW Metal division of Metal On Metal Records. After the self-released "Soulreaper Vol. 1" with 11 songs, the time came for the Soulreaper's return, the way it was meant to be: 22 songs, double CD with thick booklet! CATCH 22 created their own trademark style of US power/thrash and should appeal to fans of JUDAS PRIEST, TESTAMENT, SAVATAGE, METAL CHURCH, ICED EARTH, JAG PANZER, HEATHEN... Ferocious rhythms, heavy riffs, soaring leads and T.J. Berry's outstanding vocals ranging from low roar to high scream and fitting perfectly to the music: aggressive and strong.